As much as I’m a digital addict and chafe when I have to do things the old fashioned way, when it comes to sketching, I’ve clung pretty tightly to my beloved markers and Moleskine. Lately, I’ve been thinking more about more about sketching digitally. After spending the past 8 months researching and trying different iPad sketching software, I finally settled on Qrayon’s Inkflow app. The screen is much more responsive than any of the other apps I’ve tried (Autodesk’s Sketchbook, 53’s Paper, Moleskine)*. I also like the fact that when you upgrade to the paid version, you have access to everything, rather than dealing with a bunch of in-app purchases, including having to pay for an undo function. Finally, I decided on Inkflow because it was designed with exactly what I intend to use it for: sketchnoting! So far, I’m very pleased with Inkflow in combination with Adonit’s Jot Pro stylus. 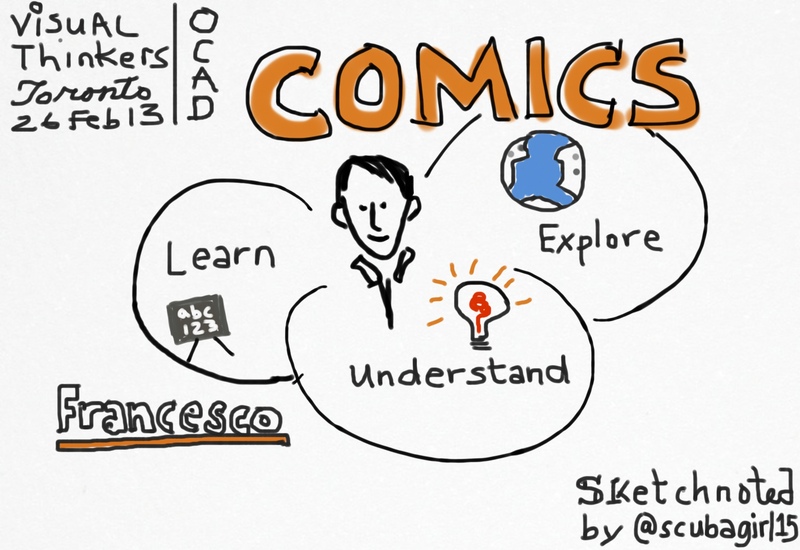 This is the first time I’ve been reasonably happy with a digital sketchnote. It will take me more practice to get used to sketching this way: not just the medium and mental model, but also the physical fact that I can’t steady my hand on the canvas area the way I can with paper, which suddenly reminded me of when I learned Chinese calligraphy. Being able to quickly edit the sketch for typos and other mistakes is quite liberating. So is the ability to share the sketch immediately, without having to go through the whole process of scanning and then launching another piece of software to clean up the scan (page corners and mistakes). *I haven’t tried any of the other apps such as Noteshelf, which doesn’t offer a free version for trial. I’d love to see some newer iPad sketchnotes if you have any. I’m new to the sketchnote world and since this post is more than 6 months old I was wondering if you were still using inkflow or I’d you have found something else you now prefer? Hi Stewart, I’m still using Inkflow, and they’ve made more improvements, so I expect to continue using it. I hope you find it suitable for your purpose, too. And of course, I’ love to see your sketches!